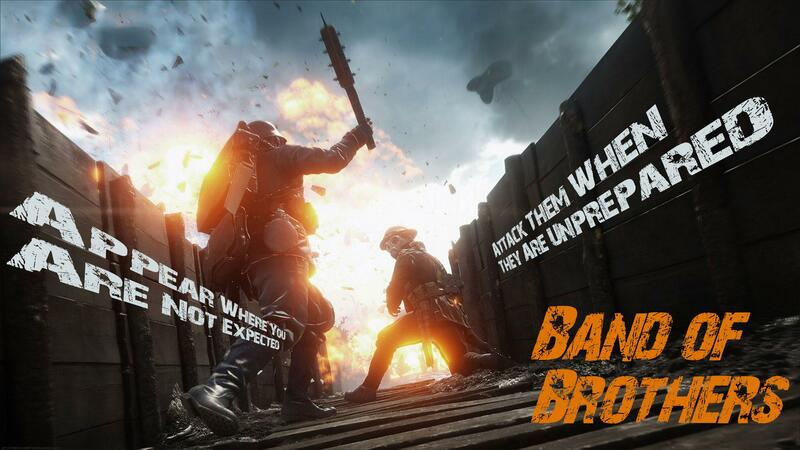 Join the brothers in arms! Have been playing with the guys for half a year. Dark Phoenix included me in black magic rituals. They often run around naked shouting incomprehensible words. I'm loving every moment of it. So far my favorite sport is stealing teammate seats in vehicles. and i love to talk to clan mates just before killing them. I strongly recommend this Platoon for anyone. STRONG, MANLY KISSES FOR ALL. stabby thing ready for your next kill. I am in BoB group/clan/family for couple of months, and i am so glad that i am here with these guys,. Phoenix is The One who introduce to me about how stuff works and all, but it is Jamess aka Big Man who accepted me in BoB family after friendly interview. The most positive thing about BoB is friendliness of members here. we talk alot and have fun. At the moment i didnt had any disputes or issues with anything or anyone cause it is that much awesome. I am recommending BoB family to everybody, you will not regret it. My name is SgtDarkPhoenix, or just Phoenix for short. 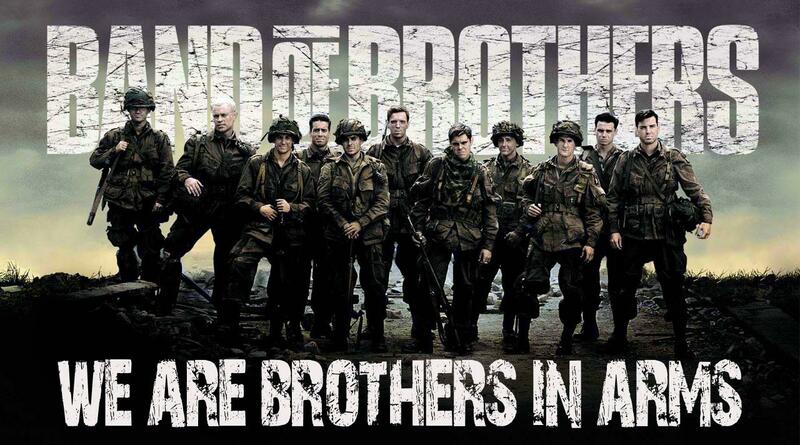 My real name is Luke and I have been in Band of Brothers for about 15 months now (time really flies by in here...). I joined a week after the clan was founded in this form. Before I was always playing alone and it got really boring. I almost lost interest in the game as I only had one real friend I occasionally played with. I accidentally discovered the Battlelog Forums and posted a thread in the Recruitment section. Jamesuperfun, the Founder of BoB, was quick to reply and get me to join their TeamSpeak. Within minutes, I was a Member of BoB and started playing with the guys. It was at that point that my gaming experience has completely changed. No longer can I imagine a game without somebody by my side on TS. Having friends to play with is a game changer, and playing with guys from BoB is even better! Soon after joining I was promoted to Recruiter and then Leader. I loved helping out and it was seen and rewarded. Recently I was promoted to rank Administrator, which is basically the highest you can get in BoB. That was a story about a guy who spent 10 minutes on TeamSpeak with BoB Staff and it was those 10 minutes that later changed his Battlefield experience in the best way possible. I couldn't be more glad that I joined this community! I wholeheartedly recommend this clan to everyone that ever wanted to make some new friends and enjoy the game the way it was meant to be played. You will have incredible amounts of fun on our TS. One time 6 of us were laughing so hard that there was complete silence for 15 seconds followed by everyone taking a deep breath. (you know what it looks like when you laugh like a freaking seal while holding your stomach) Moments like those are what I cherish the most and what I'd love to share with new people. I have been with BoB for about 1 or 2 months and its been so much fun. The clan seems to have a 6th sense as when one person joins a game they also join in. If your playing BF4 you will get so much more out of it by playing in a group. I am in BoB family around couple of months. Came here because my friend recommended it. He said i will not regret it and so far, i did not. Matter of fact it was opposite. I was pleasantly surprised by friendliness of members and BoB stuff, specially, they had patience with me because i don't speak english very good, also, they are teaching me some english. They are very helpful too. In BoB you will always find laughter, teamplay and friendship. Hope to see new faces soon. JOIN US, IT'S FREE AND FUN! No donations or fees are required at any point in time. The most positive thing about BoB is friendliness of members here. we talk alot and have fun. At the moment i didnt had any disputes or issues with anything or anyone cause it is that much awesome. I am recommending BoB family to everybody, you will not regret it. Lets play some battlefield together! Greatest clan of all time! Jokes are sick and fun is always to be had!